This classic guide to human anatomy, by: G Wolf-Heidegger, will be welcomed by students and health professionals alike—as well as anyone fascinated by science. 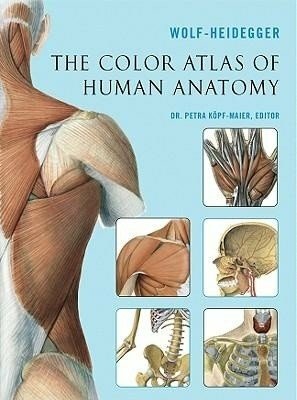 Organized by anatomical region—the most common method of studying the body in anatomy and biology courses—and rigorously indexed, this essential medical reference is the fruit of an intensive collaboration between internationally recognized scientists, dissectors, and graphic artists. It’s astoundingly rich in information: 650 detailed illustrations, including topographical, schematic, and sectional images, provide a comprehensive map of the human body’s organ systems in lifelike full color. From systemic anatomy and the body wall to the central nervous system, visual organs, and orbital cavity, it’s all here. Superbly drawn and meticulously labeled illustrations follow the most current International Anatomical Terminology, adopted by the International Federation of Associations of Anatomists in 1998. 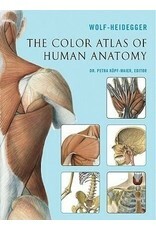 The Color Atlas of Human Anatomy is the authoritative, practical guide to the body’s complexities.